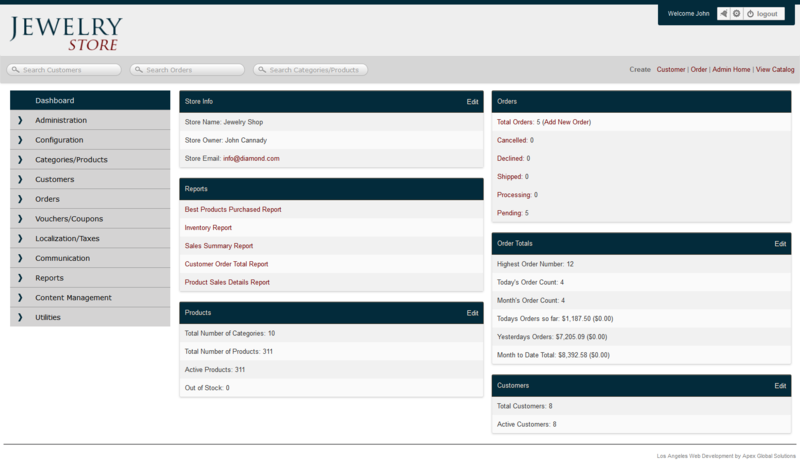 A thorough dashboard with a quick overview report. Integrated with your merchant account for credit card processing. Secure (SSL) transactions for customer safety. Integrated with your favorite shipping company: FedEx, USPS, UPS.